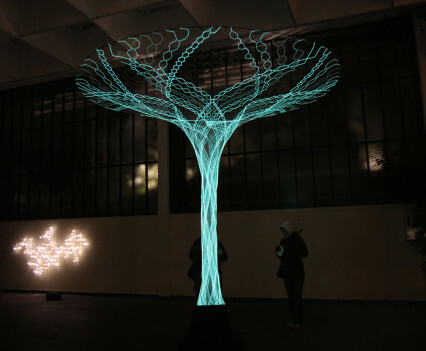 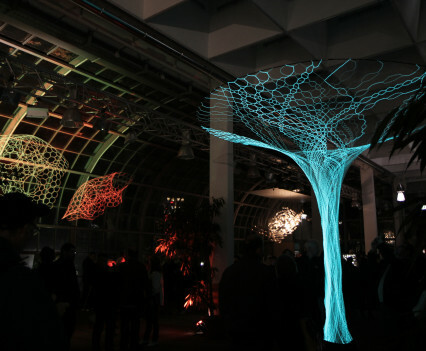 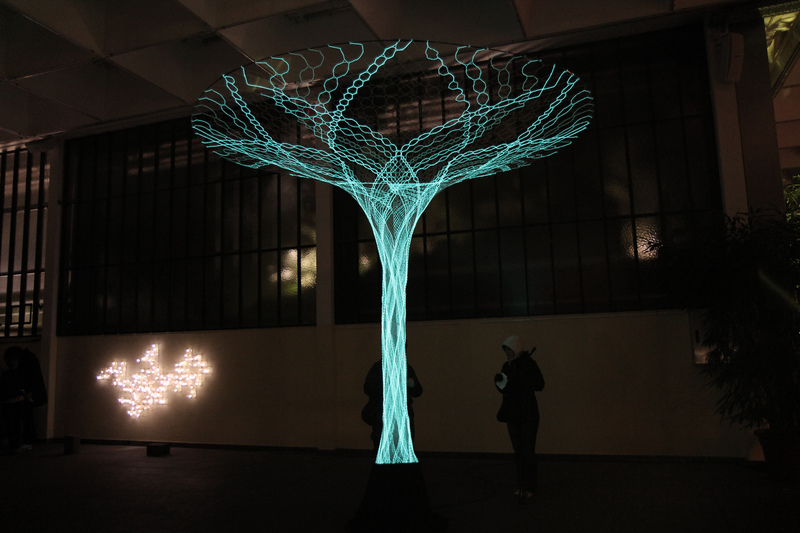 During Light + Building 2012, the streets of Frankfurt were flooded with light-based art and light installations with more than 140,000 visitors. 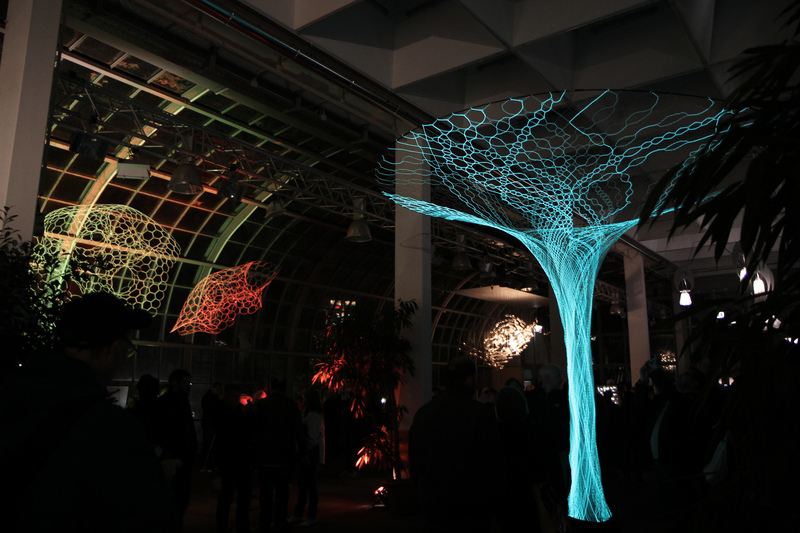 The Luminale provides an International platform for ideas and innovations on lighting design, energy efficiency, new technologies and materials and for the urban qualities of life in our towns. 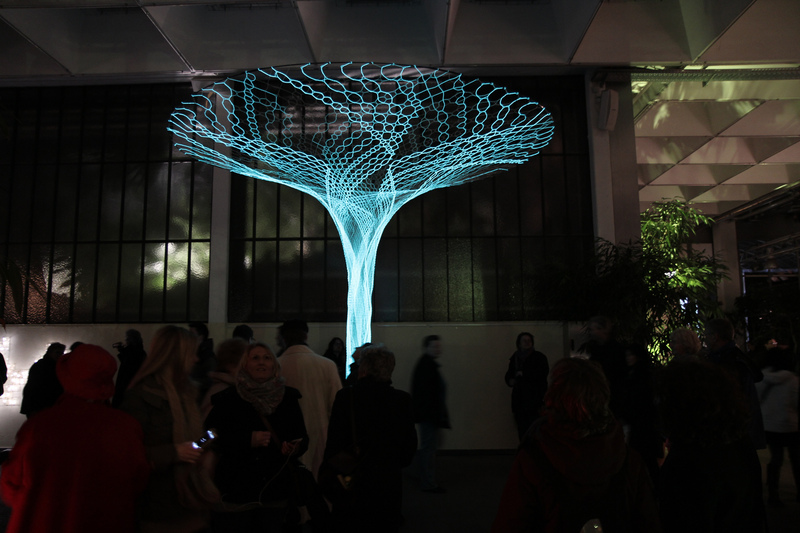 Sonumbra and Archilace suspended within the Palmengarten Haus as part of the Luminale lighting exhibition. 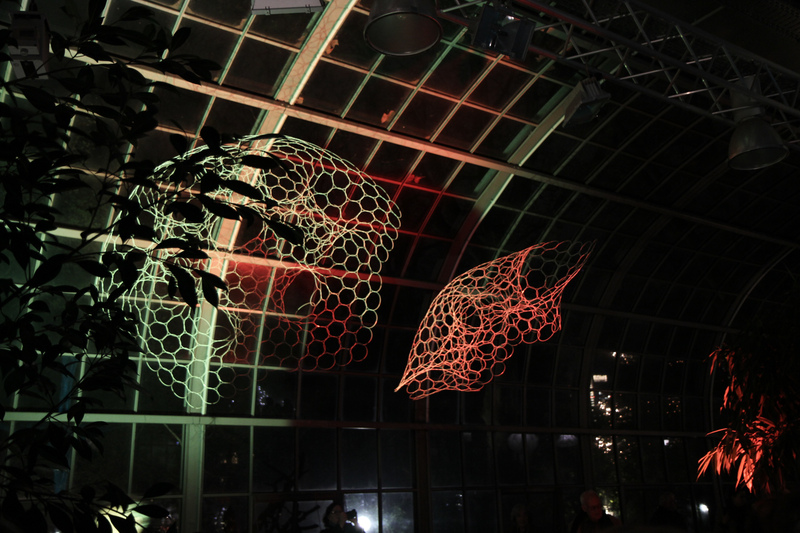 We were invited to participate in the biannual event by showcasing Sonumbra and an Archilace structure suspended within the Palmengarten Haus. 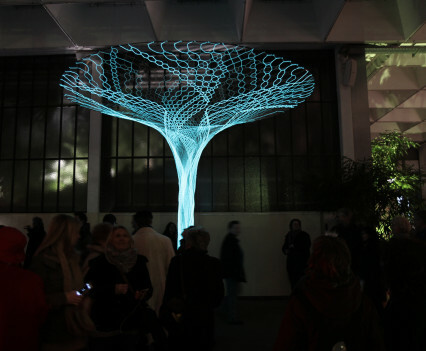 Sonumbra and an Archilace structure was suspended within the Palmengarten Haus as part of the Luminale lighting exhibition. 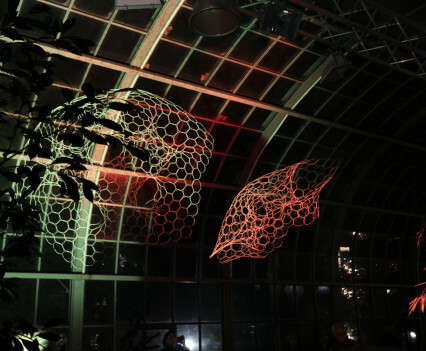 Share the post "Luminale 2012"